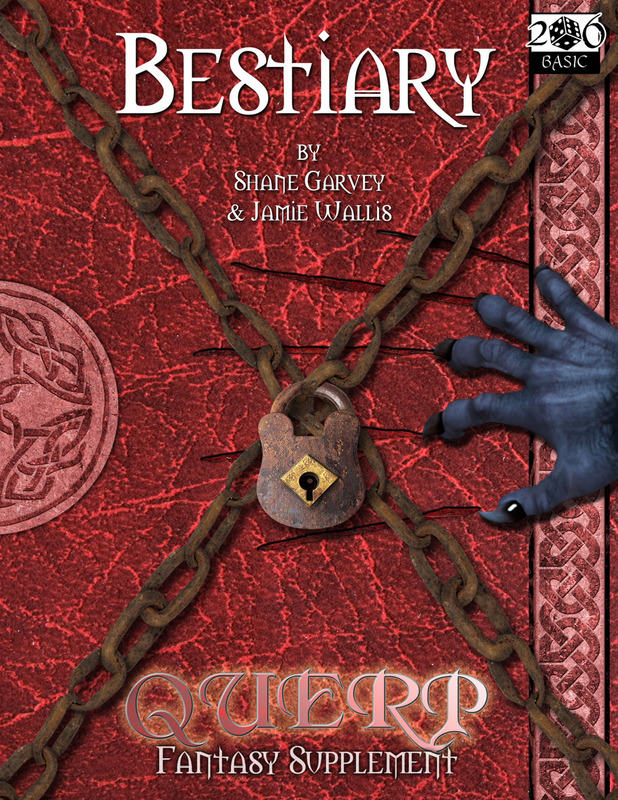 The Bestiary is the first supplement for QUERP Fantasy - The game of Quick Easy Role Playing. This tome contains nearly 100 monsters and enemies that a Gamesmasters can use to distract and attack their players. Ranging from low power to extremely dangerous, the QUERP Bestiary provides monsters for every occasion, every environment and every group of characters. The QUERP Fantasy Bestiary requires the QUERP Fantasy Core Rule Book to play.